The Arab Customs Union participated in the 49th regular meetings for the Arab specialized unions working in the scope of the Arab Economic Unity Council in Hurghada, Egypt, against an invitation presented by the General Secretariat of the Council of Economic Unity, in the presence of the ambassador Mohammed Al-Rabe, general secretary of the Arabic economic unity, Dr. Mohamed Mokhtar Gomaa, Minister of the endowment of Egypt, Chairman of the Arab Endowments union, Brigade /Ahmed Abdulla, Governor of the Red Sea, Ambassador/ Waddy Ould Sid Hiba, Ambassador of Mauritania, and the delegates of the permanent members of the League of Arab States. 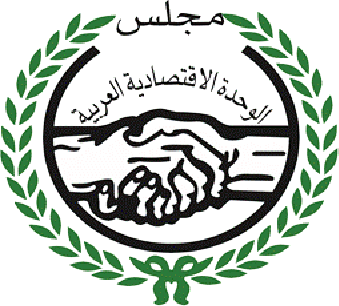 The meeting discussed the role of the Arab private sector in supporting the Palestinian economy, in addition to the proposals and studies presented to the Arab Economic Unity Council from the various Arab Unions on "Reconstruction and Development in the Arab Countries Affected by the Implications of the Arab Spring Revolutions" , one of which is the study presented by the Arab Customs union on the reconstruction and the role of the Union in the reconstruction, and in turn the Union was thanked and handed over a shield for his great efforts in the preparation of the study. 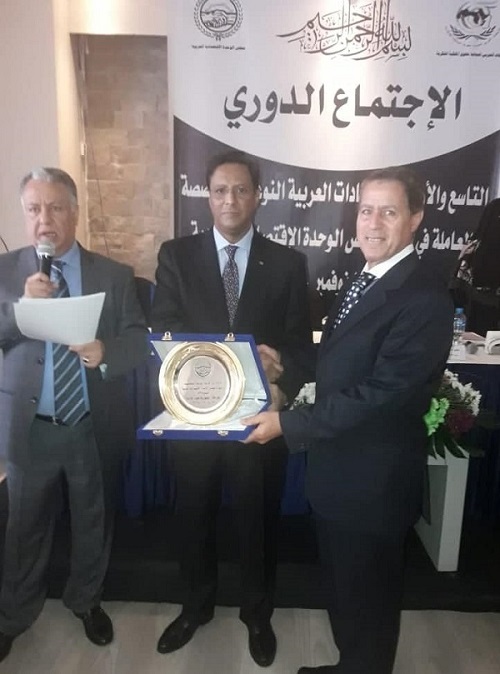 The shield was handed to Mr. Samir Abul-Nasr, Secretary General of the Union. A conference will be held in Cairo to discuss these studies. From the Arabic Customs Unit, The meeting was attended by Samir Abu Al-Nasr (general secretary) and Mohammed Hamada (assistant general secretary).